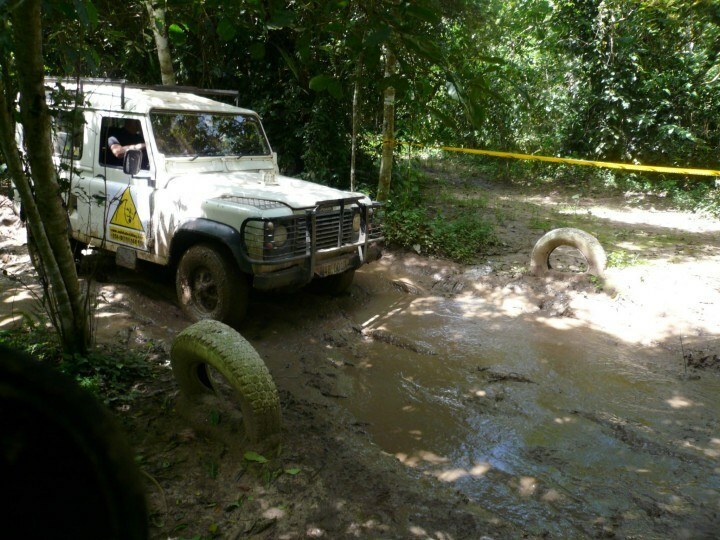 This year the 4X4 event was in aid of the Ngamba Island Chimpanzee Sanctuary and aptly dubbed the “Chimp Challenge”. The decision was made after the main players at City Tyres went out for a visit and appreciated the great work that the sanctuary is doing. For more info on Ngamba Island visit their site or even better take a trip out and watch the chimps being fed. Well worth it. And it has already been decided that next year’s event will be for the same cause. A much larger turn out than usual meant more money was raised (18,100,000/= Ush raised!). All proceeds went to the cause. As usual everyone involved in organization of the event gave services free of charge, so no overheads. Thanks to all for that as it makes a big difference in the amount handed over at the end of the day. City Tyres did a great job, as usual, with advertising the event, registering all competitors and getting on board a very generous set of sponsors. As well as covering all expenses that went to the overall running of the day. Including lunch and drinks to everyone that turned up! Thanks to all the competitors for making it such a great day. With the raised number of teams we cut out one event, the spare wheel changing, to keep everything running on time. A change was made on the skills trial giving all competitors 2 runs at the “Congo Highway”. The rains had made the course interesting. The recovery team was kept quite busy towing out stuck teams. Even on the divorce derby! The balance beam and the skills trial seemed to attract most of the spectators. Although the relay race at the end of the day was quite a big crowd puller with some “interesting” driving on display. Thomas from Nalubale Rafting has made a fabulous DVD of the event. As he did last year. These are available for purchase from City Tyres. All proceeds to the chimps. 1st Place: Dunroving. Defending champs. 2nd Place: Hi Ratio. 1st time at the event. 3rd Place: Classic. Mel and Tony still not able to get the trophy back. Most everyone took home a prize from the raffle. Thanks again to the sponsors for the generous prizes. Thanks to all the others who took part, in particular Warid who entered 4 teams and smoked a few clutches on the balance beam.